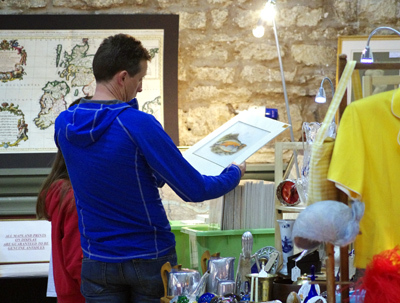 There has been a weekly Antiques & Collectors’ Market in Cirencester’s Corn Hall every Friday for more than 40 years, and it’s one of the best weekly fairs of its kind anywhere west of London! Around 50 dealers are on site offering a wide variety of top-quality antiques and collectables. The market starts setting up from just after six every Friday morning, and officially opens at eight. There is no entry fee, and visitors can browse the aisles at their leisure. Enthusiasts and collectors will find items here to suit all pockets, from a fiver to five hundred (and occasionally more! ), and ranging from vintage and Art Deco, through to ancient and medieval. Trade buyers are especially welcome, and will discover plenty of new-to-the-market stock at keen prices. 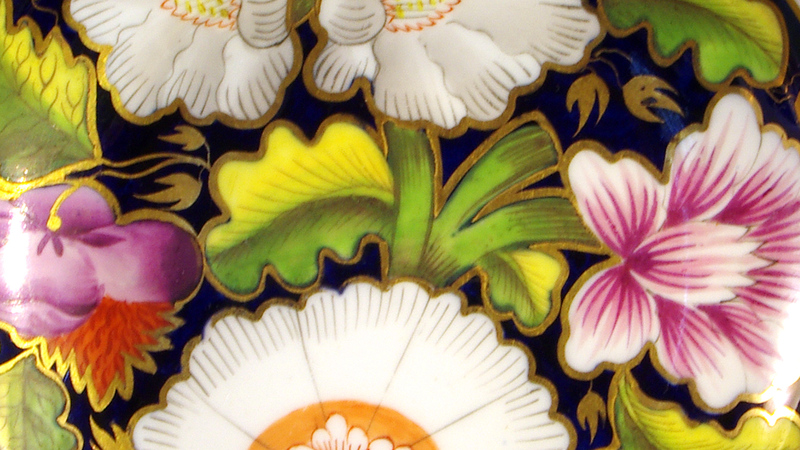 Glass, Ceramics and Silver can be found in abundance, as well as Jewellery, Metalwares, Furniture, Clocks and works of art. Some of the dealers also specialise in Vintage stock, from the 1950s and 60s, including fashion, hats, accessories and costume jewellery. The Market also regularly includes dealers in vintage tools, architectural metalwares, paintings and prints. Check the Dealers page for more details. There is a café on site run by Diversitea, as well as others nearby, including Made by Bob, and the Kings Head Hotel as well as a number of restaurants. 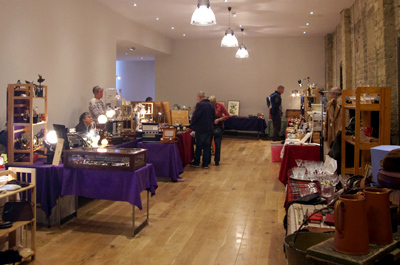 There are also other antiques shops and centres, including the Cirencester Antiques Centre, which stands opposite the Corn Hall in the Market Place. The town is a popular destination for visitors throughout the year and offers much to interest and entertain.